Pinterest is not a complicated social media platform. Sure they have their own algorithms but to make your account successful, there are not too many hoops to have to figure out. The name of the game is basically pin, pin, pin and see the traffic roll in. Here are the 4 main elements you need to pay attention to when approaching your Pinterest strategy. Always think keywords when approaching your account, from pin descriptions, to boards, to profile. What would your ideal client/audience use to search for what you offer? Knowing your idea/audience helps with knowing what words and descriptors to use. Don’t be afraid to experiment and change up titles on graphics to posts and change up your descriptions when pinning your own pins to different boards. Anyone can find a pin using the search feature, whether they are your follower or not. You can also now use hashtags on Pinterest in your pin descriptions, which use to be a no, no but now it’s a must do. This is a new feature that was just announced so how many is optimal seems up for debate, the word on the street seems to be saying 3-4. Grab 3 places on Pinterest to up your keyword game in this post. Shocker right?!? This is the key to almost all business strategy, and Pinterest is no different. The advantage of Pinterest is you can schedule pins and forget it; there is almost no need for extra time to engage on the platform. BUT you need to be keeping YOUR pins rotating. While you do need to share other people’s pins to have a strong account, your pins are what is driving the traffic to your site. SO make sure you are keeping your pins in the mix on a daily basis, and I would recommend making sure your daily schedule is at least 40%-60% your pins (meaning if you are pinning 10 pins a day, 4 would be your own pins). Now if you don’t have much content yet, maybe a lesser % because when it’s the same two pins going to all your boards, that gets old. I highly recommend Tailwind to maintain consistency and save you time! 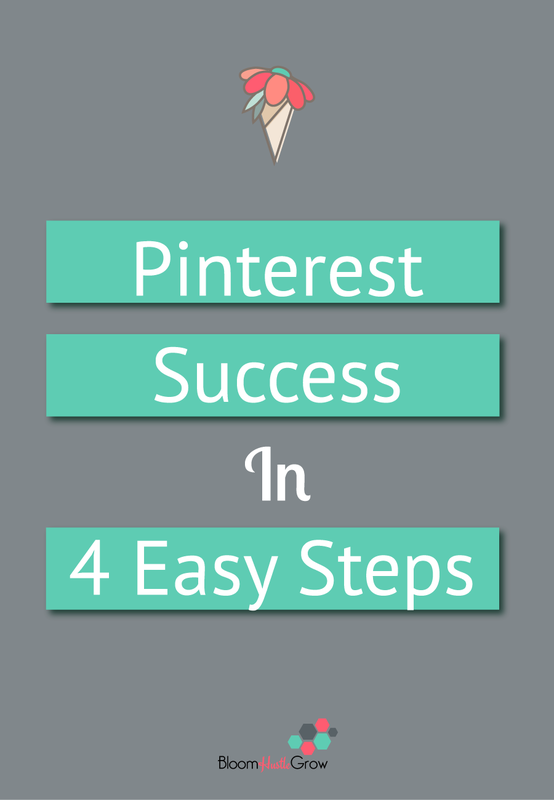 It has been the best investment to make my Pinterest strategy easy to manage and keep my pins circulating. Group boards are key to expanding your reach; group boards allow your pins to be circulated to a much much wider audience than if only shared to your boards. Group boards help expand your repins, which makes your pins more likely to show in the Smartfeed (aka home feed) and at the top of searches. If you want to see your Pinterest strategy explode then, group boards are a must. Find out more about group boards in this post. While I do think this is somewhat a lesser key item, as I’ve seen not so attractive + non-vertical pins have thousands of repins. BUT if you want a strong Pinterest marketing strategy embrace the vertical pin. Nicely designed, vertical pins are going to do better on Pinterest. Plus keep in mind with your design that when you scroll down from a pin, you get related pins, these are less related in terms of keywords, and more in relation to design. So look to see what type of designs that people in your similar industry might use when crafting your design. While you want your design to stand out, you also want to show up in related pins. Check out this pin to see what I’m talking about. One more reason to embrace vertical pins is for shareability. I’m way less likely to share your post if you don’t have a vertical Pinterest friendly picture to share. Some group boards even say your pins must be vertical. Have an account but you’re not sure it’s working for you? Get a Pinterest Audit (click here)!